Atlanta-based Fifth Group Restaurants is planning to open a third South City Kitchen. With existing locations in midtown and Vinings, South City Kitchen is planned next to open in Buckhead on Peachtree Road. The new location would occupy 6,000 square feet on the lobby level of One Capital City Plaza. The restaurant will also reportedly have a patio at Peachtree. A portion of the planned restaurant will have to be built and has not yet been approved. I contacted Fifth Group Restaurants partner Robby Kukler and was provided the following statement with regard to their potential Buckhead plans. "I appreciate your interest in Fifth Group Restaurants. At this time, as you’ve stated, we do not have a signed lease for any new locations, including Buckhead. As soon as we do we will announce it and include all of the vital details." If all goes well, a lease is signed, permitting goes as planned, and no road blocks are encountered, a well placed source tells me the restaurant will (hopefully) open in early 2016. The 17-story One Capital City Plaza office tower opened in 1989 with top 40 radio station Star 94 as one of its first tenants. For many years, Star 94 was a powerhouse station in Atlanta, a cash machine for then-owner Jefferson Pilot Communications. While occupying the penthouse of a Buckhead highrise is nice, it comes at a cost. With radio revenues far from their mid 90s / early 2000s highs, Star 94 and now sibling station 790 The Zone relocated to the more economical Interstate North Office Park in Cobb county last spring. Although it was not known publicly at the time, Star 94 / The Zone's new home is a stone's throw from the new Braves stadium, SunTrust Park. Following Star 94's departure, property ownership embarked on a multi-faceted renovation of the building, both inside and out. Residential home builder PulteGroup relocated from Bloomfield Hills, Michigan, a suburb of Detroit, to One Capital City Plaza earlier this year. Pulte employees about 300 over 100,000 square feet at the Buckhead high-rise. I'd wager a guess that similar to the impact Bistro Niko had on Au Pied de Cochon at the InterContinental Hotel, South City Kitchen will have a similar affect on Southern Art, Au Pied de Cochon's replacement. 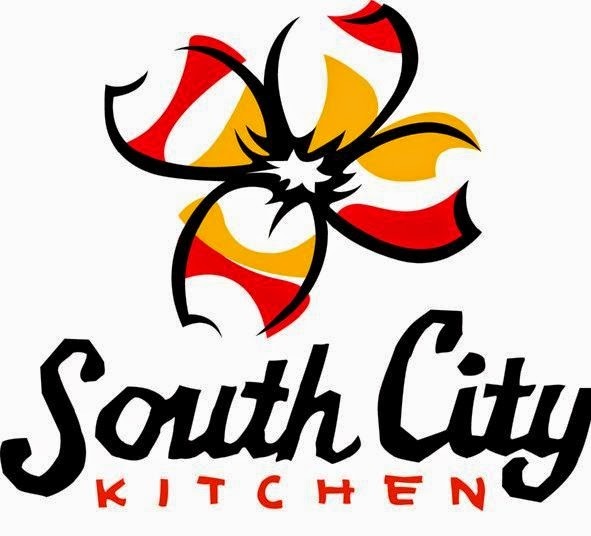 The first South City Kitchen opened in midtown in 1993, and celebrated its 20th anniversary last year. Fifth Group Restaurants also include La Tavola Trattoria in Virginia-Highland, Ecco in Midtown, The Original El Taco in Virginia-Highland, Alma Cocina downtown, Lure in midtown and Bold American Events, a catering company.